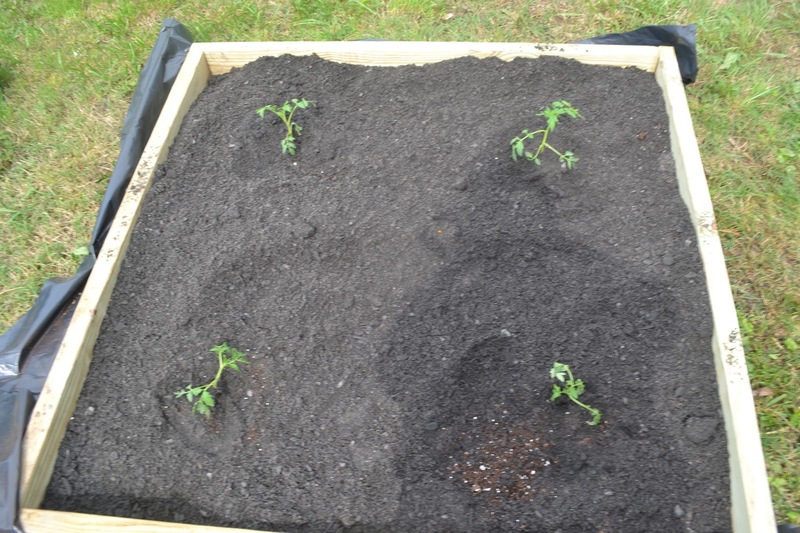 Making a square foot or container garden can be easy and thrifty. 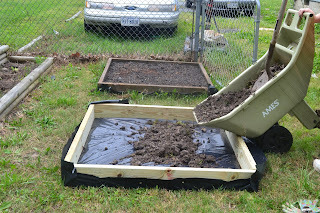 This size and style is handy because from any side of the container you can easily reach into the middle to pull weeds, water or harvest. Not counting the soil it was about $10. Go to you local big box hardware store and ask them to cut two 2x4x8 boards in half. 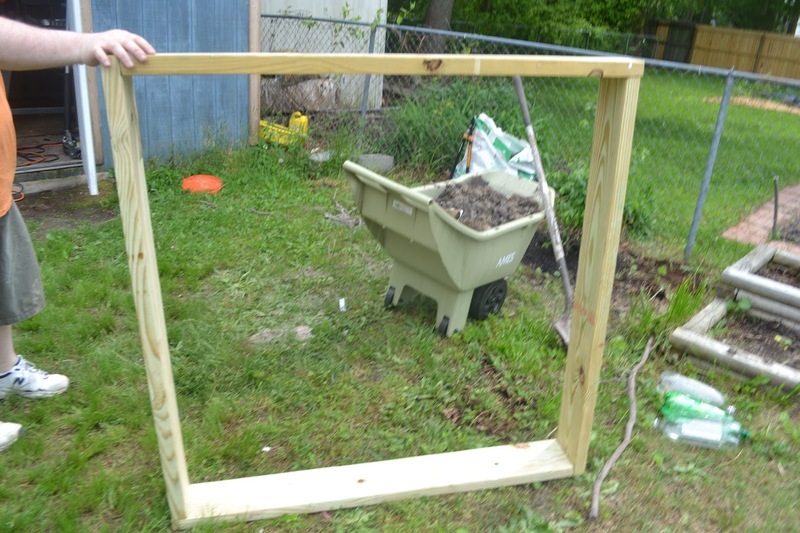 Nail the 4 boards into a square. 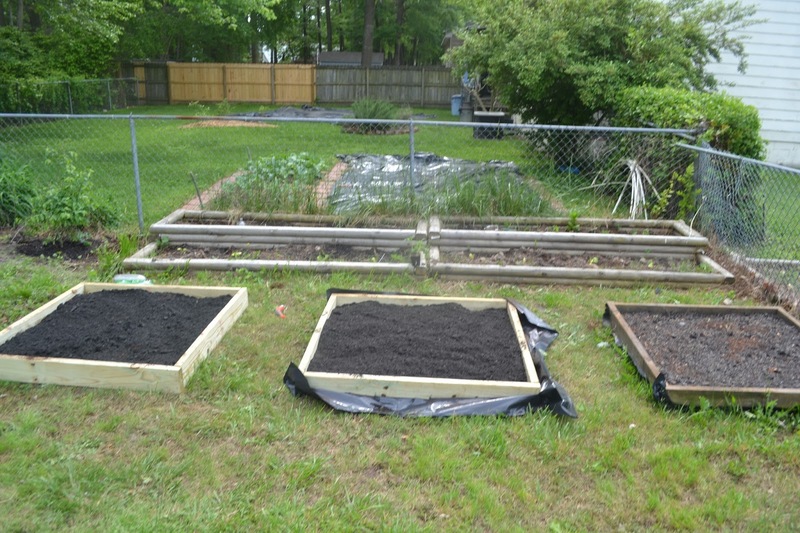 Put the square foot garden in the desired location. 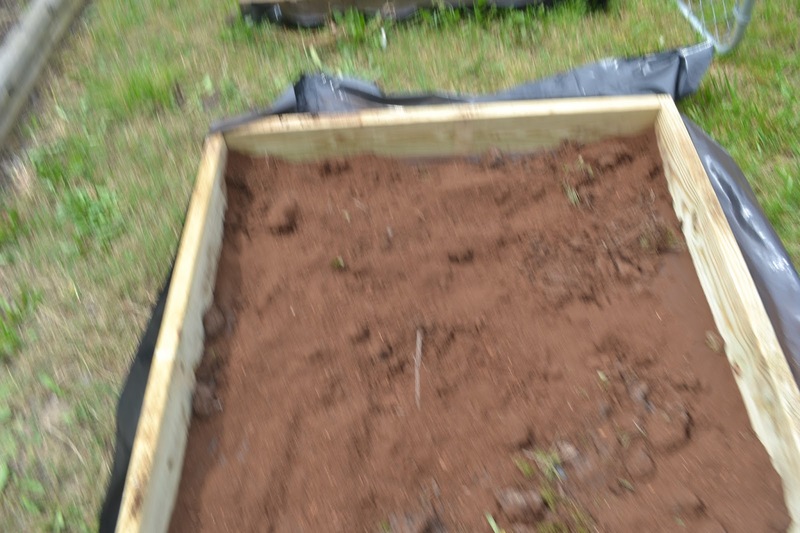 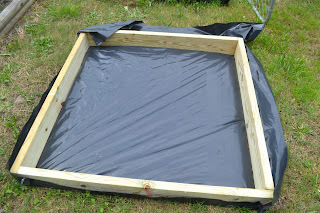 Line the bottom of the garden bed with plastic to prevent weeds. Jan's tip: Don't have any plastic? 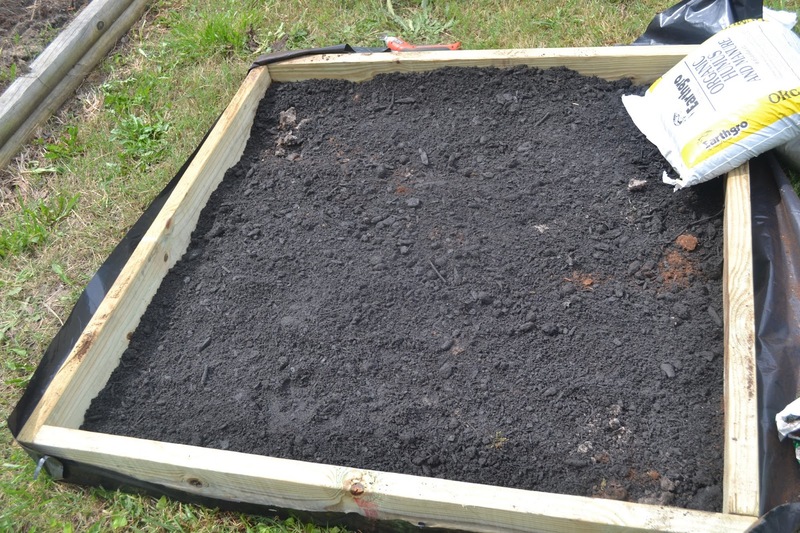 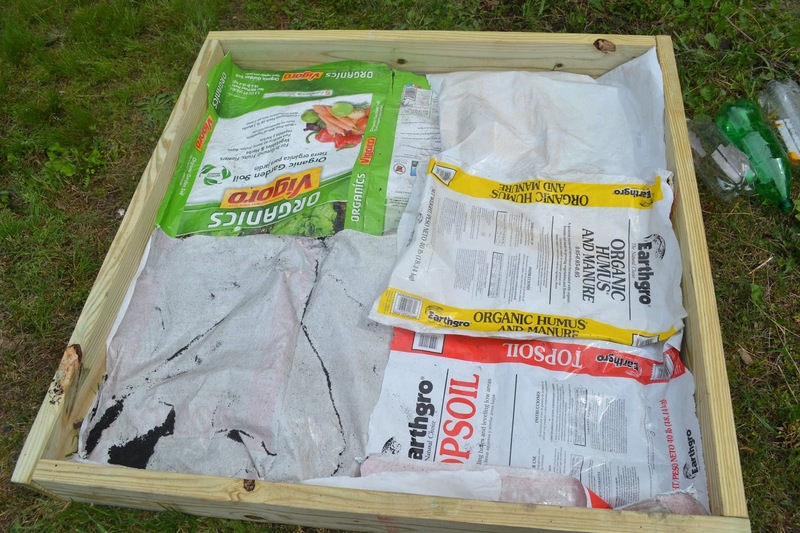 Empty your garden soil bags into a wheel barrow and cut open the bags on 3 sides so the open flat and lay them down on the bottom of the container. 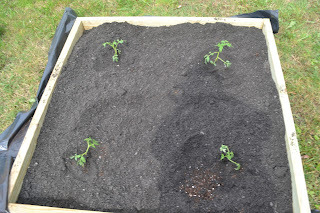 I filled my containers in layers and then gently mixed them together ,but you can fill yours anyway you like.